One of the longest running complaints with iOS is the lack of a filesystem, particularly for pro users. Some might even say that it’s a problem limiting the adoption of iOS devices as primary computers. To help bridge this gap, developers have released countless file management apps in the App Store, all attempting to solve this issue. The problem is, none of these apps got it quite right. Some had great UIs and a lack of features, while some were visually upsetting while littered with an abundance of options. 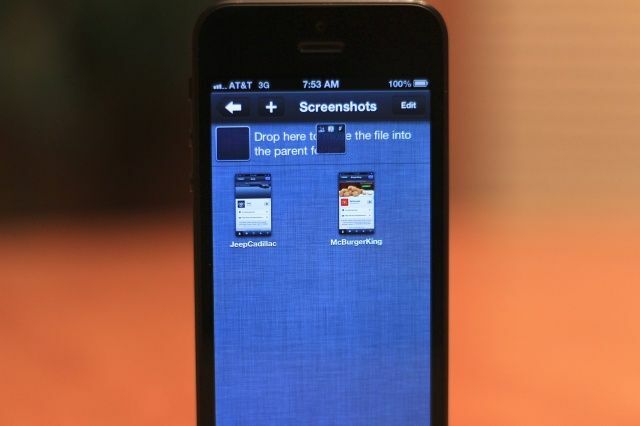 Files App, a new application from Sonico Mobile, changes all that. Not only does it look great, it provides a myriad of functions as well, making it one of the best file management apps I’ve ever seen for iOS. If you’d rather not use cloud services, you can also go the local route, and bring in files from your photo library, or from almost any app for that matter. By simply pressing and holding on most files (like an attachment in Mail for example), a menu will appear giving you the option to open and save in Files App. The Add Files menu also gives you the option to download files by simply pasting in a URL, a big improvement over the clunky and slow browsers that many other management apps include instead. Finally, by simply tapping the “Mac or PC” button in the Add Files menu, you start a Bonjour connection with your computer, and typing in the address provided onscreen will load a browser-based version of Files App, where you can drag files in from your desktop and automatically upload them to your device. 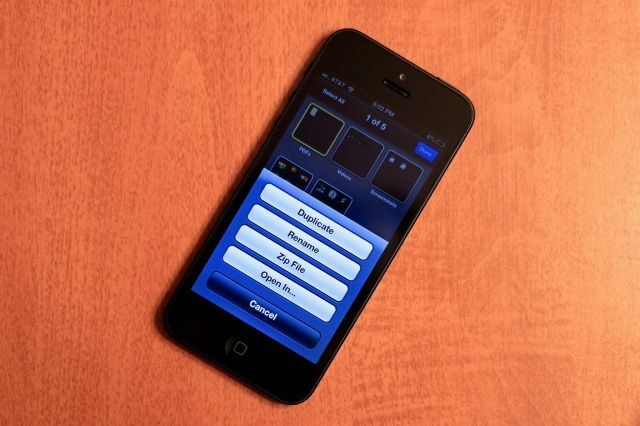 If you’d prefer, you can also attach your iPhone or iPad to your computer via USB and use iTunes to add and save files. If you decide to take this route, however, I would recommend that you have some free time and a lot of patience, because the way iTunes has implemented file navigation is simply awful. The web interface is much more organized and clean, and provides a unified experience with the app. As far as settings go, Files App is pretty sparse. However, most of the default settings worked fine for me, and I never felt like I had to change the setup to make the app work better. Once you’ve added files to the app, they will appear by default in a grid back on the main screen. If you’d prefer, you can change the view option. However, I find that the grid is more visually appealing. 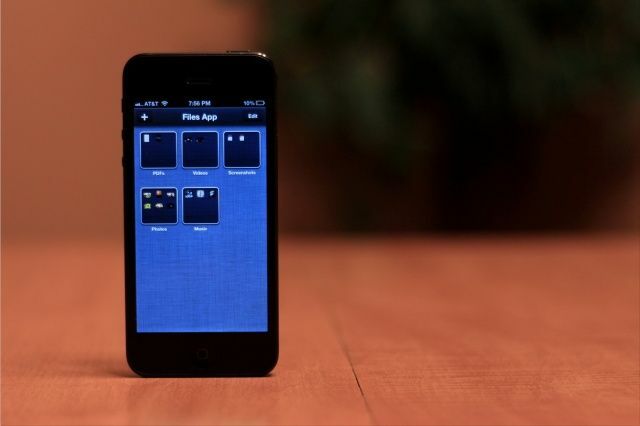 Pressing the edit button in the corner will allow you to select any files within the current folder you are working in (or entire folders if you are at the root level), and perform a variety of actions on your selection, just as deleting, moving, emailing, sending to any of the three cloud services mentioned before, as well as saving to your camera roll, in the case of a photo or video. Pressing the “More” button will also reveal more options, where you can duplicate, archive, rename, or open your files in another compatible app. You can also rename individual files by simply tapping on the name. File management couldn’t be simpler. Moving files or folders within another folder is as simple as just dragging items on top of each other. If you’d like to move a file back one level out of a folder, dragging it to the top of the screen will reveal a drop zone where you can let go to move the file. I tried out several different file formats, (not all 58 of course) and each one worked great, offering a unique interface tailored for the format. 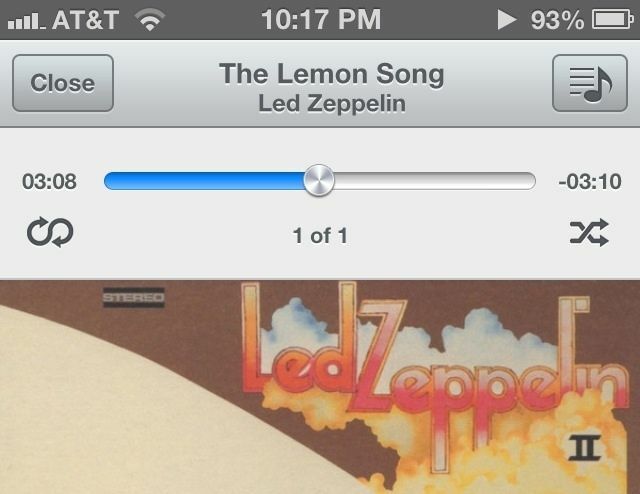 Those who aren’t fans of the default iOS Music app might also love Files App, since it has its own, custom audio player. My favorite type of file to view, however, was PDFs. In my opinion, Files App is a better PDF viewer than iBooks, not only running much faster, but offering better functionality as well, letting you share the PDF to other apps right from the viewer. While Files App is excellent in almost every way, it does have a couple shortcomings. Unfortunately, these are mostly problems that can’t be fixed with future updates- it requires support from Apple. Although Files App lets you view and store files, it’s not a universal filesystem browser. It creates its own, sandboxed file structure separate from everything else. This means that you can’t, for instance, browse your documents that you’ve created in Pages from right within Files App. You have to first launch Pages, export a document, and then open it in Files App from a menu. It creates kind of a clunky system of working with files, and you can definitely feel the restrictions of iOS hurting the app. Unfortunately, this is an issue that won’t be solved for a long time, if ever. Apple has made it clear that it has to intentions to open up the filesystem on iOS, and has even started to adopt a similar philosophy on OS X, visible in the self-contained nature of iCloud document storage for apps such as TextEdit and Preview. That aside, I only encountered one other issue with Files App, pertaining to the web interface accessible via your computer’s browser. While it worked most of the time, I would occasionally encounter uploads stalling, especially with larger files. I tend to complain a lot, but I really have nothing to complain about with Files App. The design is excellent, the functionality is top-notch, and it does just about everything better than every other file management app for iOS that I’ve ever tried. If you’re like me, constantly shuffling files around on your iPhone, for just $0.99, there’s no reason not to buy this app. You can grab it in the App Store now, right here.